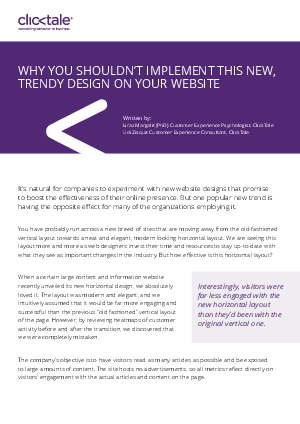 Trendy new web designs may be all the rage. But do they really work? And should we take the time and expense to implement them? The truth is that not all new designs are actually compatible with how our brains are hard-wired. That’s because the surface meaning of your site’s elements affect the way visitors interact with the page - and more importantly, how they feel about it. Fill the form to download the research article!